Witty, charming, enjoyable, enchanting and winning. Simply brilliant. That’s a perfect way to describe Bill Forsythe’s breakthrough and must-see little masterpieces such as “That Sinking Feeling” (1979), “Gregory’s Girl” (1981) and “Local Hero” (1983). The Scottish screenwriter and film director became a highly respectable filmmaker, creating ingenious characters, which consequently earned him two BAFTA Awards, for the screenplay of “Gregory’s Girl” and two years later for directing Burt Lancaster and his impressive cast in “Local Hero”, leaving behind his fellow nominees Sydney Pollack (“Tootsie”), Martin Scorsese (“The King of Comedy”) and James Ivory (“Heat and Dust”). Later on, he made a variety of other films – not too many, in fact – and in between, he also left his native Scotland to work abroad, including across the Atlantic. It’s been quite some time now since we heard anything of Mr. Forsyth (1946). The good news is that he just spent a few days in Antwerp, Belgium, at Cinema Zuid, a modern theatre and museum complex, as the guest of honor at the 2015 Film Summer College. With twenty lectures and thirty films, along with a focus on the work of Burt Lancaster (1913-1994) and French film director Jean-Luc Godard (1930), this successful event was organized by the Vlaamse Dienst voor Filmcultuur (Flemish Department for Film Culture). In the March 12, 1983, edition of the British trade paper Screen International, then journalist and later film producer Colin Vaines referred to Mr. Forsyth’s style as ‘a combination of off-beat humour, precise observation of character, considerable warmth and charm, and an underlying seriousness’. Yet, his film output has been restricted and got very limited over the years, forcing Martin Hunt on BFI’s Screenonline to conclude that ‘the structural defects relating to production, distribution and exhibition have hampered British filmmakers since the 1960s.’ Whatever the underlying reasons may be, don’t believe everything you read, because at age 69, Mr. Forsyth is still productive as a writer and even though we can’t change the cards that are dealt, there still might come a time that one of his writing efforts will see the light of day in front of the camera. Something to look forward to. After “That Sinking Feeling” (1979) and “Gregory’s Girl” (1981), you were considered to be an acclaimed and renowned screenwriter and filmmaker. Where and how did you learn your craft? I have been working in the film industry for 51 years now, I started when I was 17. Just after I had left school in Glasgow, I got a job as an advertiser at a local newspaper as an apprentice for a film company. I wasn’t interested in cinema at that point at all, but it was a very different kind of job. All the other jobs were in business or industry. So I took the opportunity to apply for the job, I went through the interview process, and ended up getting this job and there I was in the film industry at age 17, in 1964. 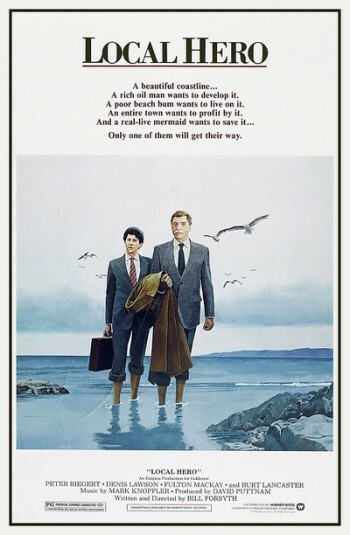 But I didn’t make my first feature film [“That Sinking Feeling”, 1979] much later. So during that time, I started a small independent documentary company with a business partner of mine, and for about ten years, we made sponsored films and industrial films in Scotland. But it wasn’t very satisfying work. Scotland is a small country and at that time there was a very small film community. This feeling that we should really be attempting to make our own indigenous films – feature films – that tendency just grew in me. There was no possible way of finding money for an independent film, so I thought I’d try and make one very cheaply by using young people from the Glasgow Youth Theatre. So the screenplay of “That Sinking Feeling” that I wrote was based on Glasgow and on the lives of the young people of the Youth Theatre. Back then, Glasgow was an economically depressed town, not at all for young people, and so I thought I’d make a film about some unemployed youths and what they may do for some fun. That was really the first idea for “That Sinking Feeling”. The film was made for no money. My colleagues in the local film business gave me some of their time for nothing, and the young people were mostly unemployed. We shot the film in three weeks, in April 1979; it was processed very quickly because in August, the film was ready to be shown at the Edinburgh Film Festival. That was quite a surprising experience, because people paid attention to it and on basis of that, I could go back to the Youth Theatre and make “Gregory’s Girl” with some money. That was a bigger production, and more professional in some ways. Is there a reason why those films were so well received? Is it because they were so fresh, so bright and original? Maybe the new faces, the young actors who were all so brilliant? I think it’s because these were the first feature films that were made in Scotland. 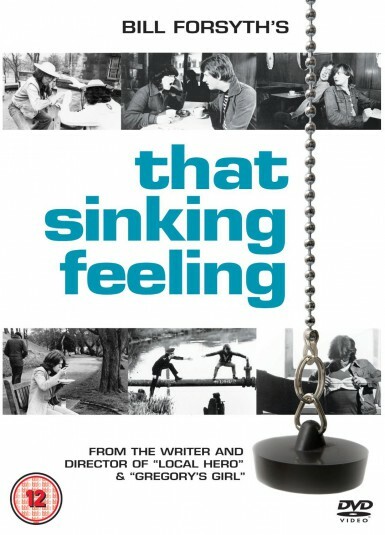 “That Sinking Feeling” was the first indigenous film, there had been no other cinema made in Scotland before that. So I think that was the surprise of it – there had been films made in Scotland, but these were always made by people coming in from America or London to shoot a film on location in Scotland. But this was the first time that an indigenous filmmaker had made a film there. That’s how it started. How important was David Puttnam in this process? As a highly successful producer, he gave a lot of young filmmakers the opportunity to make their first films in the 1970s and 1980s, and you made your next film “Local Hero”  with him. He helped a lot of young filmmakers and he certainly was very important to me. He had made TV commercials before and at that time there was a whole generation including David who graduated from advertising into feature film making. There was Alan Parker, Hugh Hudson, Ridley Scott – they all came from advertising. David was a part of that group and I caught him after his success with “Chariots of Fire” [1981, winner of four Academy Awards and three BAFTA Awards]. After that film, he came to me and asked, ‘Why don’t we make a film in Scotland? If you can find a subject in Scotland with a couple of American actors, it will be easier to find the money.’ That’s how “Local Hero” got started: I came up with the idea of the oil business, which was very current at that time in Scotland – we called it the oil boom – it was just starting then. So the film was quite topical. It was just a matter for me to write the script and he did manage to find the money. Burt Lancaster played a leading role in the film, while you were used to working with young actors. Was it a big difference for you to work on the set with a screen veteran like him? No, it really wasn’t. Anyone who is acting, requires the same thing: a sense of confidence, you have to give actors a sense of security and if they want any information about why they are in front of the camera. I have been asked that question before, and I can honestly say that I really didn’t feel any difference between directing someone like Burt Lancaster or one of the young people from the Youth Theatre: they just demanded of me the same thing, they needed a very good reason of doing what they were doing in front of the camera. It was that simple. So I didn’t feel any difference in the way that I treated them, or the way they wanted to be treated. Before I actually worked with actors, I used to think that you had to teach them how to act (laughs), but of course they know that. All you have to ask them, is what they want in that particular moment, so it’s not really too tough a job if you know what you want. After your early successes, did Hollywood welcome you to finance your new productions in America? Not really, I got offered studio films, but they didn’t really interest me. I prefer to be on the outside of that particular system. I had things I wanted to do, and being someone who wrote scripts and then wanting to make the films – the film industry doesn’t like a filmmaker who wants to perform both roles. The industry likes to separate the director from the writer, they’re more in control then. So the idea of a writer-director is not a very commercial way of running a career, for studios it’s much tougher to employ a writer-director. But I’ve never been interested in Hollywood cinema or in commercial cinema to that degree that I would go there and spend a lot of time there. “Housekeeping” (1987) with Christine Lahti was the first film you made with a screenplay you wrote, based on a novel. Up until then you always wrote your own and original screenplays. Was it an advantage or a disadvantage to start with a novel? Ah, well, it still was a project of mine. I had bought the rights to the book and I wrote the script on my own. It wasn’t a commission, there was no film until I made the film. So I spent time adapting the novel and with the script, I found a producer and we went about making the film. It wasn’t someone coming to me who said, ‘Will you make a film of this book?’ I just fell in love with the book, basically, and that was it. 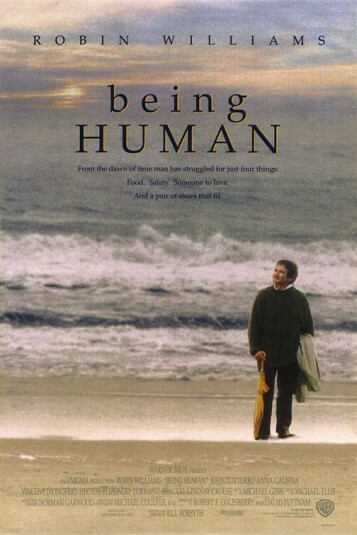 In “Being Human” (1994), you had Robin Williams playing five characters in five different periods. How do you look back to your collaboration with him? There were really two Robins: there was the comedian, he was unique and he was a phenomenon, very inventive and he worked at a very terrific speed with his comedy and with all the improvisations he did. So that was one Robin. The other Robin was a serious and a trained actor who, like any trained actor, demanded a kind of intimacy with the reasons behind the role and worked as an extremely professional actor. That’s the Robin I knew, because I was using him as a serious actor, not as a comedian. It was a huge undertaking for him, because he had to create these five different characters. We worked on different locations throughout Europe and Africa, he had to change characters every few weeks when we shot the different historical pieces and sequences, so it was a very demanding role for him, but he was totally dedicated to it and he was very easy to work with. Just occasionally, he wanted to break out and be funny, so there would be times when he would say, ‘Just roll the camera,’ and he would start improvising, to get it out of his system. Then we’d say, ‘Okay Robin, this one’s for you!’ and he would let off steam. But beyond that, he was utterly disciplined. What about Burt Reynolds? 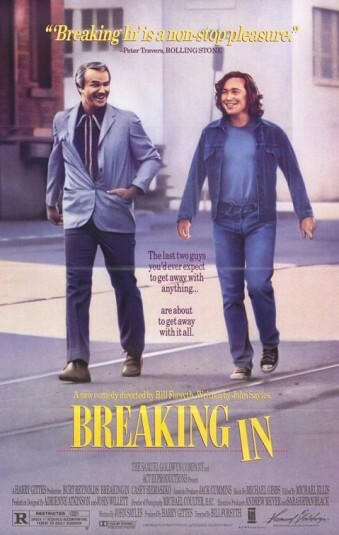 You cast him in “Breaking In” (1989). Wasn’t it a career risk for you to cast a former box-office star in his first character role? No, it wasn’t a risk. He had played the same roles successfully in those big movies for more than fifteen years. There’s a certain point in your life as an actor when you are becoming older. Time is telling on you, so you can’t play the same action comedy roles, and also you’re maturing. For him, it was time out after playing the endless Burt Reynolds type of roles, you know, so it wasn’t difficult, he was up for it. He had come to a point in his life when he wanted to develop himself a little more and that was perfect for me. So there was no difficulty involved at all. And it was a low-budget movie, there wasn’t an awfully lot of money at stake. The world wasn’t watching and waiting for it (laughs), it was just another movie. Did you ever make the ideal film as you had it originally planned? No, when you write a screenplay and then you make the film, the writer is always disappointed in the film, because it never works out the way you – as a writer – want it. As a writer, I am always disappointed in me, the director. When you write a script, you have such huge ambitions for it and you imagine it totally, but it never comes out the same way on the screen, because of the limitations, the process, the things that change, all the compromises that come into it. So any film I made, I was never as happy with it as I was as with the original inspiration. It always changes – sometimes it changes for the better because of the collaboration with the actors or the cameraman who comes up with something which makes it better. But the screenplay is always like a fantasy, and the ambitions for something that you write are so perfect and entertainable, that you are about to be disappointed. But I think that’s the same with any endeavor: who’s looking for perfection anyway? You’ve also been an editor when you made industrial films. Do you always stick with a film until it it’s entirely edited? Yes, I do. I enjoy editing a lot, because that’s where you can turn disaster into success, even by just changing things. I always considered it a very positive process. Once the filming is finished, it’s quite a joy to look forward to go into the cutting room. I am there every day. And with digital editing, it’s so much easier, you don’t have to wait so long to see the result and you have multiple choices. 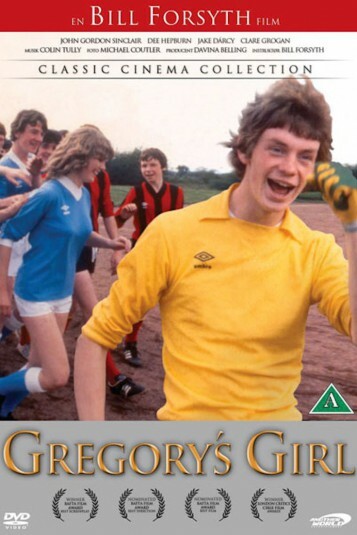 I once read an article about you and the title said, ‘Success came just in time for the award-winning director of “Gregory’s Girl”, but then he walked away from filmmaking and never looked back’. Is that an accurate way to describe your career? I can understand that, but I don’t think it is. This quote creates a stereotypical idea of a filmmaker who has done this and not done that. I don’t identify myself with it, because I never had this idea of a career, like when you climb a mountain and reach the top. Filmmaking has always been something that I do, rather than something that I strive to do. And I’m even much happier as a writer, because it’s a much easier life as a writer. I’ve written things over the years and as far as I’m concerned, they all still have potential to be turned into films. I never stopped writing, so it’s not a struggle to come up with ideas, I love the writing process. I always say, at the end of the day, there will always be projects that still have a possible life. For example, if I take something I wrote five or six years ago and someone says, ‘Why don’t you make that film in such and such a way?’ Then I might say, ‘Maybe I’ll take that project from five or six years ago and we’ll see if that will work now, with the changed technology and the way people watch movies now.’ So there’s always a possibility for things. I don’t think I am finished, I’m actually working everyday, writing, or attempting to set things up. I’m actually enjoying myself a lot more now as a writer and as a possible filmmaker. I would be looking forward to the film process, I’m more relaxed about it. I also think ‘older is better’ (laughs): you’ve developed some craft skills, you know when to work, you know when relax, so life and work is just an easier business. What has filmmaking given you in your life, what has your career brought you personally? I had working-class parents and their life was not their own, in a sense that they needed to work, they needed to maintain a job throughout their lives. I have moved on from that in two ways, in the sense that I’ve been in control of my life, I’ve been in control of when I work and when I don’t work. I’ve also created my own work and I didn’t have a real job. Apart from filming, I never had to leave home each morning to go to work. It sounds like a small thing, but to me it’s a big thing. I never had to put myself in a workplace the way that my parents and so many people had to. Also, I had my first job in the film business at age 17, so I didn’t have a higher education at the university. Which I certainly do regret, but that’s the other thing that the film business has given me. I didn’t study in a formal way, but film gave me a chance to learn and think how to be creative. My children who are grown up, they went to university, but I almost feel that I kind of graduated in that way as well, just through having the resources, to think, read, research. And every film that you make, is like a research project, it’s a way of learning. You may write a screenplay about a certain era, but at first you only touch the surface. So you need to research to verify things. For the film with Robin Williams [“Being Human”], I had a glorious year by just reading history before I even started to write the script. When I had finished writing it, with the Olympic period, the Roman period, the colonial period, etc., the art and the costume department wanted to have the approval from historians before they could get to work, making props and costumes. So we sent the script to five historical experts from the periods in question and they all came back with their advise and knowledge in terms of our movie. That gave me a tickle, after all the research that I had done, and then dramatizing and fictionalizing it, it made things acceptable. That’s what the film business has given me: it has given me time, my life, a space to learn and to be creative. Posted in Director-screenwriter, Film Talk and tagged Academy Award, Alan Parker, BAFTA, Being Human, Bill Forsyth, Breaking In, Burt Lancaster, Burt Reynolds, Chariots of Fire, Christine Lahti, Cinema Zuid, Colin Vaines, David Puttnam, Edinburgh Film Festival, Glasgow Youth Theatre, Gregory's Girl, Heat and Dust, Housekeeping, Hugh Hudson, James Ivory, Jean-Luc Godard, Local Hero, Martin Hunt, Martin Scorsese, Ridley Scott, Robin Williams, Sydney Pollack, That Sinking Feeling, The King of Comedy, Tootsie. Bookmark the permalink.